President Donald Trump's likely pick to lead the Centers for Disease Control and Prevention is facing significant criticism because of a 20-year-old controversy over shoddy HIV research. The Army in 1994 acknowledged accuracy issues with HIV vaccine research led by Dr. Robert Redfield, who is expected to head the CDC, but concluded at the time that the data errors did not constitute misconduct. Yet one of the whistleblowers who first raised the matter to the Army told Kaiser Health News this week that he remains so troubled about Redfield's handling of the vaccine research that he has decided to speak out publicly. "Either he was egregiously sloppy with data or it was fabricated," said former Air Force Lt. Col. Craig Hendrix, a doctor who is now director of the division of clinical pharmacology at Johns Hopkins University School of Medicine. "It was somewhere on that spectrum, both of which were serious and raised questions about his trustworthiness." In a letter to Trump this week, Washington Sen. Patty Murray, the ranking Democrat on the health committee, cited the research controversy as an example of a "pattern of ethically and morally questionable behavior" by Redfield that should prompt the president to reconsider the appointment. Redfield's appointment, which does not require Senate confirmation, was leaked to the news media over the weekend. 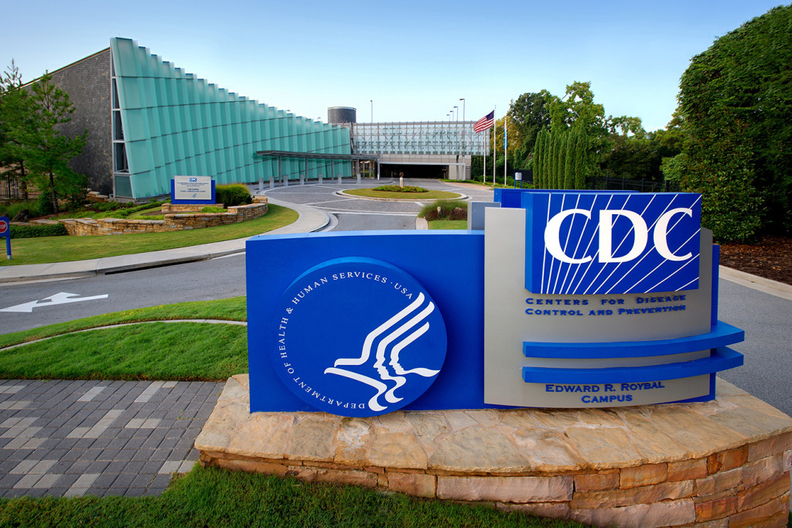 Redfield did not respond to questions, and HHS, which oversees the CDC, declined to comment. But Redfield's critics said the expected appointment demonstrates that the Trump administration is not vetting appointees thoroughly. The first CDC head, Brenda Fitzgerald, stepped down in January after a controversy over her purchase of tobacco stocks, and former HHS Secretary Tom Price resigned late last year amid criticism over his use of government and private planes for official travel. "The White House claimed they would do better background checks," said Dr. Sidney Wolfe, founder and senior adviser of Public Citizen's Health Research Group. "But that statement is dangerously laughable. If they had done a proper background check, they wouldn't have chosen Dr. Redfield." Public Citizen, a Washington watchdog group, was a leading critic of the Army's handling of Redfield's data at the time and obtained and published documents that detailed the controversy. Hendrix, who was the director of an Air Force HIV clinical unit when he raised the concerns, said: "Two members of his [Redfield's] team told me they had tried to replicate the analysis, but they couldn't. When they tried to go to the Army, they said they were ignored." After Hendrix couldn't replicate the results, he drafted a letter to his superiors reporting the data problems. Hendrix said Redfield's superiors initially told him not to send a letter detailing the concerns. Instead, the military scheduled a meeting with Redfield and other researchers so Hendrix could discuss the concerns. In the meeting, Hendrix recalled, Redfield acknowledged he had overstated how promising the results were. "I thought it was resolved," said Hendrix, who said he later called Redfield to say he was proud to work in an organization that could openly discuss such concerns. An Air Force institutional review board also recommended that the Army launch an inquiry stating: "The committee agreed the information presented by Dr. Redfield seriously threatens his credibility as a researcher and has the potential to negatively impact AIDS research funding for military institutions as a whole." But the Army did not appear to launch a full investigation, said Hendrix, who was interviewed at the time by the military official who conducted the inquiry. The military official declined Hendrix's attempts to provide documented evidence, telling him the investigation was "informal." "I just remember him saying "Yes, sir," he said. "When he hung up, he told me, 'We will not be discussing this again.'" "Before this happened, he made important contributions to HIV-prevention efforts," he said. "I respected him." However, he said, he remains disturbed by the military's handling of the matter. He teaches a class on medical ethics and uses his own experience without naming Redfield to describe to his students the ethical quandaries faced in research. Faulty data can lead other scientists to repeat the same mistakes and prompt participants to seek out trials for drugs and vaccines that don't work. "It's a huge waste of funds," he said. "But just as importantly, it diminishes trust, which is essential in science. If truth is eroded, then the whole enterprise falls apart." "Research Misconduct Allegations Shadow Likely CDC Appointee'" originally appeared in Kaiser Health News. Kaiser Health News, a nonprofit health newsroom whose stories appear in news outlets nationwide, is an editorially independent part of the Kaiser Family Foundation.